Promotion and advertising vector visual. Metallic badge and banner graphics. Shiny vector illustration of a basic metal plate. Template visual with glossy metallic surfaces with different shapes. Curved silver design to use in all kinds of company logos, application icons, stickers, decals, banners and website buttons designs. 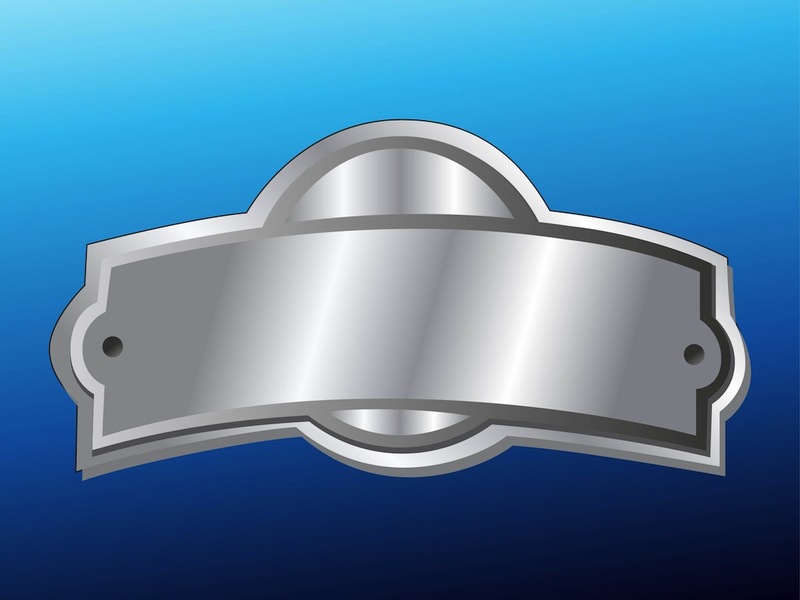 Free vector footage of realistic metal badge with text space for your message, branding and logo. Tags: Advertising, Apps, Label, Logo, Metallic, Promotion, Shiny, Silver, Template, Web.